Sequre Now Has New, Innovative Roller Shutters for Sale All Over Africa! Roller shutters have been used for decades in Europe and the USA, but they are relatively new in South Africa. In Europe, roller shutters were mostly insulated and provided greater resistance to the cold winters at night, which helped to keep the temperature in the homes and businesses more ambient. Often, further north, they were used to blocking out light when the sun only set around 11 pm, and people found it hard to get to sleep. In South Africa, however, they are usually installed for security reasons. 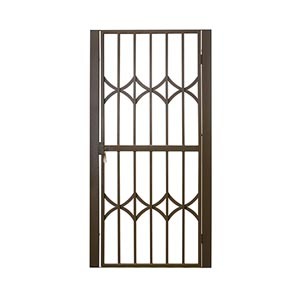 They provide a great barrier for windows, retail outlet displays, and other locations. They literally roll down at the end of the day, and are virtually impenetrable. Roller shutters are now employed to keep property safe after closing, and even during operating hours. They can be closed to trap invaders inside the property, and to keep them in a location from where they cannot flee until the police show up to arrest them. They are a cost-effective security solution because they block off all access (or exits) to a business, home, or retail outlet. They can be installed inside or outside a building, which makes them flexible and practical. Roller shutters provide a visual deterrent to criminals, and send a clear indication to them that the building is virtually impenetrable. They provide protection against the elements. They can be used to block out wind, sun, and glare. 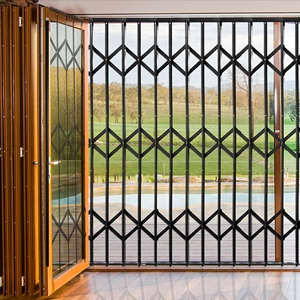 Because the modern roller shutters for sale on the market today can be rolled down fractionally, they are great at providing shade and letting just enough light in, while still enabling air to flow freely. The modern, innovative roller shutters for sale by Sequre provide a highly cost-effective security solution. They are easy to operate, easy to install, and easy to maintain. In addition to this, they provide maximum protection from intruders. While the initial investment can be costly, Sequre ensures that the roller shutters we have for sale are long-lasting, durable, resilient, easy to maintain and operate, and safe to use. Having adequate security measures, such as burglar proofing, roller shutters, and alarm systems can significantly reduce your insurance payments. Roller shutters can be automated to react to certain situations, such as a security breach of an electrical fence, an alarm going off, or just automated to close or open at a certain time of day, depending on the needs of the company or family. At Sequre, we have a great range of roller shutters for sale. 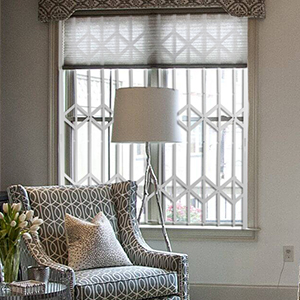 It does not matter whether you are looking for security or insulated shutters to shield against light or heat. We have the right products to suit your needs! Because we are a highly progressive company, we invest in the development of new security products all the time, and we always have a new range of roller shutters for sale to benefit our clients. 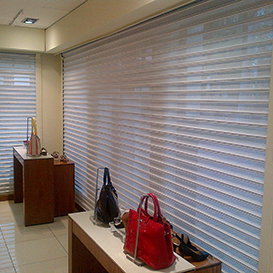 To find out more about the most practical roller shutter solutions, contact our team at Sequre. We will help you to find the best security solution for your property!